Today, we have a new crown princess. 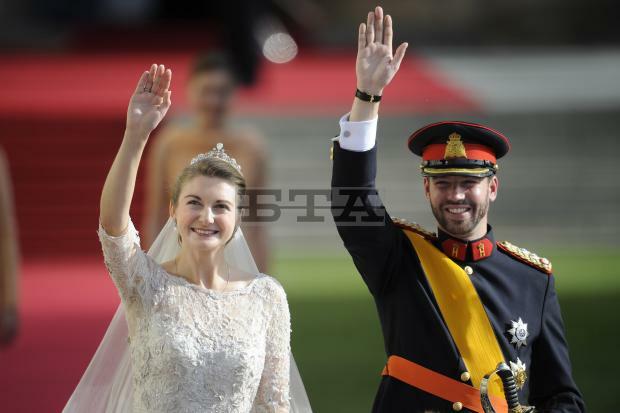 Princess Stephanie, Hereditary Grand-Duchess of Luxembourg after the religious wedding ceremony to Prince Guillaume. 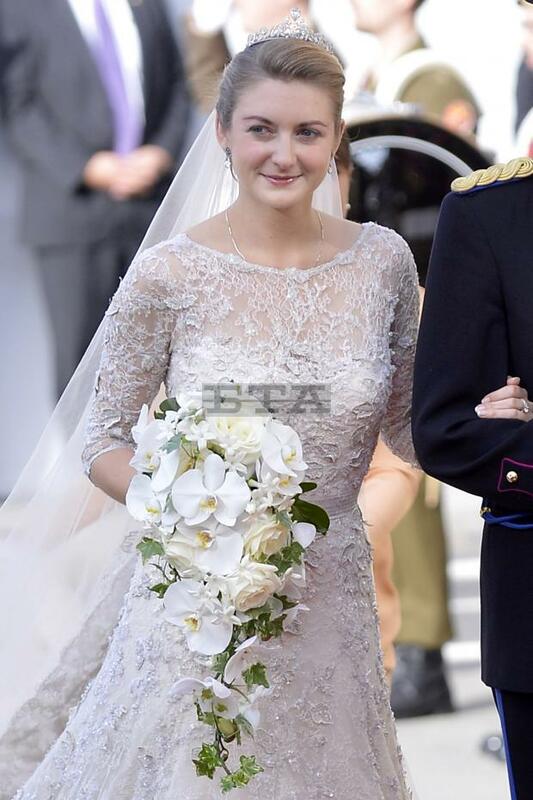 Arriving with her brother in a blue Daimler car owned by the grand ducal family, The bride, Countess Stephanie de Lannoy, was wearing an Elie Saab couture gown! The gown is costum made (of course) and was designed by Mr. Saab himself, Elie designed the new princess an A line ivory gown with a little bit of mermaid skirt, but it's still A line! The gown has a bateau (boat) neckline which gets lower by the back to show just a little bit of Stéphanie's back, three-quarter lace sleeves, fitted bodice and a skirt that continues to make a two and a half meters train. And if this train is not grand enough for you, a four and a half meters train flows from the waist. The whole gown is embroidered in silver thread, beads, and pearls, and the the long veil didn't have a blusher. 50 metres of Chantilly lace. 40 metres of Calais lace. 30 metres or satin organza. 70 metres of tulle and silk crepe for the lining. 15 metres of silk tulle for the veil. 200 pieces of transparent glitter. 10,000 metres of silver embroidery thread. 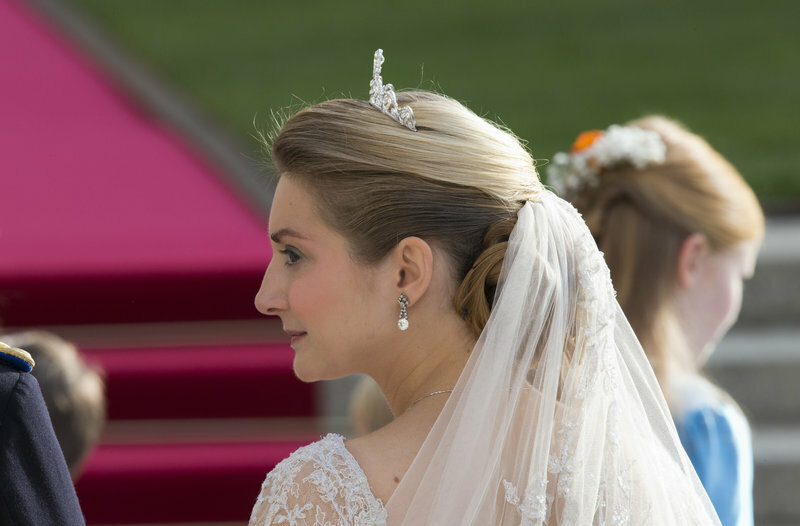 As for the tiara, instead of following the tradition started by Josephine-Charlotte of wearing the Congo Tiara, or wearing the Belgian Scroll Tiara, that also Josephine-Charlotte has worn on her wedding day, Princess Stephanie chose to make us a favor and wear her family's tiara. 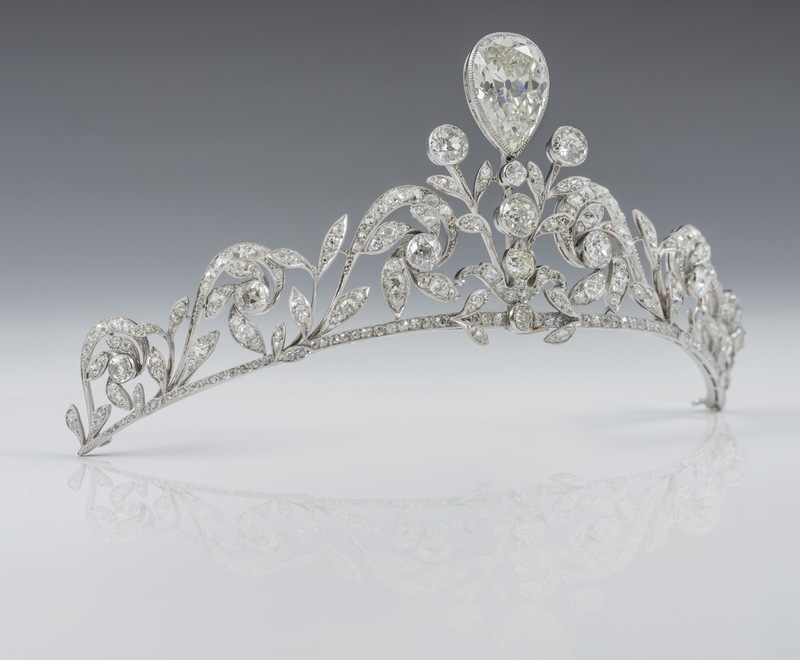 The tiara, made by jeweler Altenloh in Brussels many years ago for the Lannoy family was also worn by all Princess Stephanie's sisters and sisters-in-law on their wedding days. 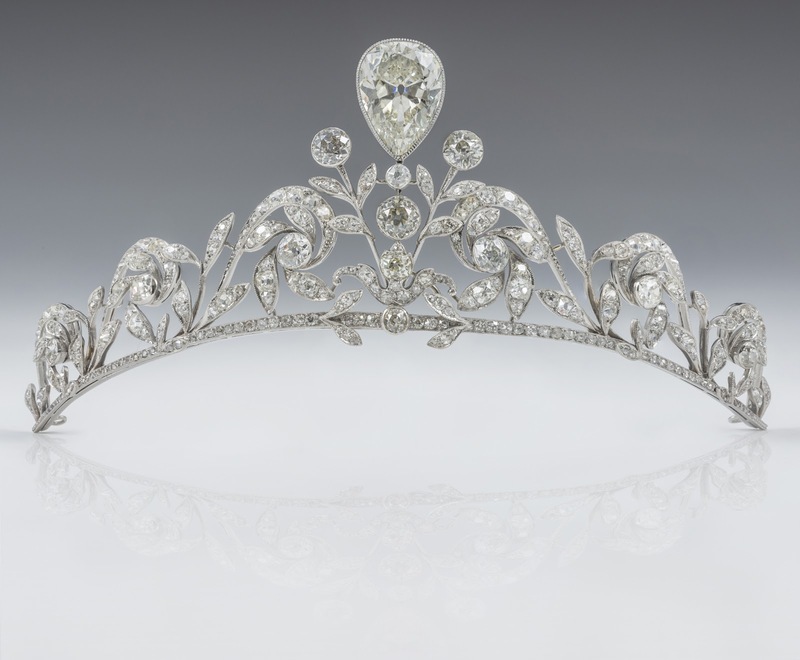 The tiara is composed of 270 brilliant diamonds and set in platinum, and has leaf motifs, which really goes very well the embroidery on the gown. She also wore diamonds and pearl earrings that we have no idea about, and a necklace (I guess she wears it all the time). Stéphanie carried a bouquet created by House Lachaume, a Parisian florist (Weird that Elie didn't design her a bouquet). Bouzouk Did the Princess's makeup, as well as Princess Alexandra's and The Grand Duchess. 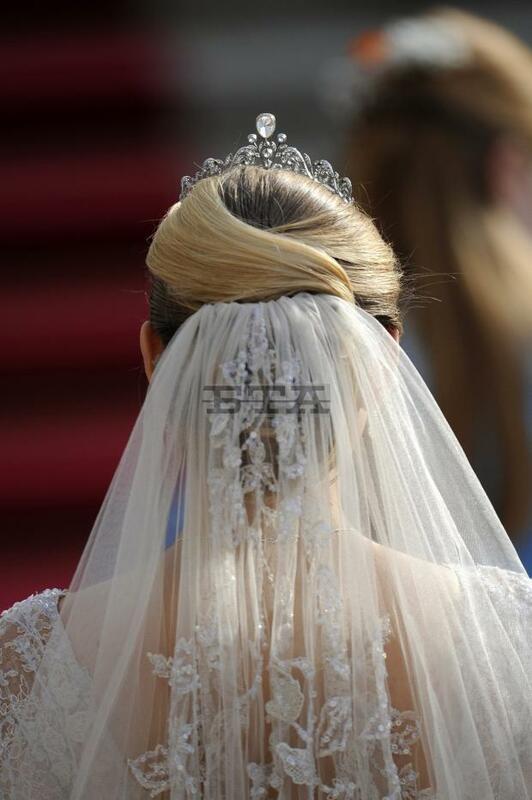 While Stephanie's hair was made by Tom Marcineau of the House of Carita in Paris into a really lovely low chignon that had the veil attached in the middle of it (remind me a bit of Charlene's). I think this is one of the best wedding gowns EVER,not just in the royal gowns category, and this is one of the best weddings EVER. It was quite hard to imagine Stephanie in one Elie's heavily embroidered gowns, but it worked, I was right when I let my mind go wild and guess Elie is doing it. And I'm really glad that Maria-Teresa introduced her daughter-in-law to the world of couture and put her on the first step. The only things I could complain about is that the bouquet is so white that it fades with the gown in the background, and that as a tiara-maniac I was wishing for something as huge as the Luxembourg Empire Tiara (hope MT brings it up soon) ,and while this gown design is new for royal brides, it's still so Elie Saab, which is not a bad thing actually but... forget about it, it's good... Well played, Steph, Keep on rocking Elie Saab dress, Princess! 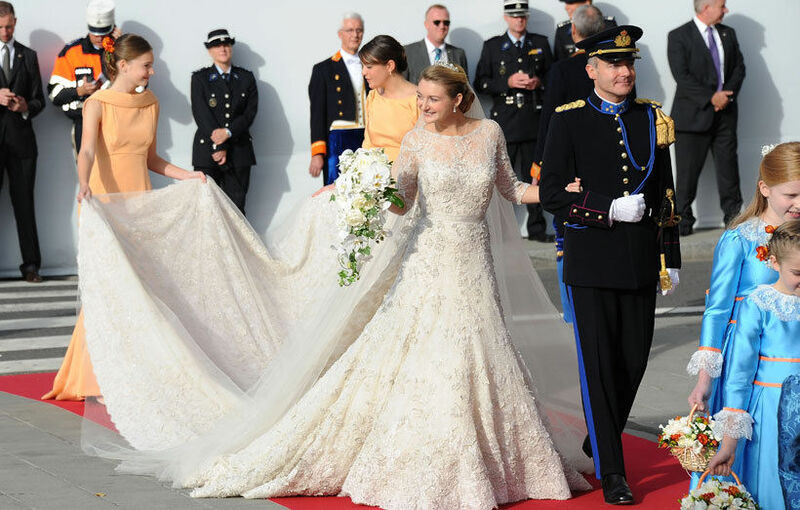 Now, Tell me: What do you think about Princess Stéphanie's wedding gown and tiara? P.S: Will be updating with better quality photos once they're available. 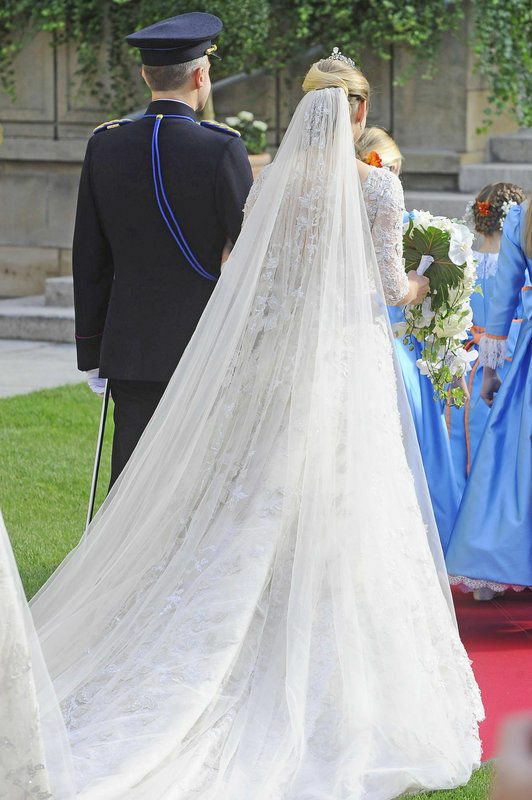 I believe Stephanie's Elie Saab gown is the most beautiful of all the royal wedding dresses in recent memory. It's at least in the top 3 and is much better than Duchess Catherine's or Crown Princess Mette-Marit's. Call me a sucker for Elie Saab, but it was beautifully embroidered, the color was lovely and it flowed so well. Yes, it's on of the very best gowns of all time, and in recent memory I think it would be in my top 3 gowns with Charlene's and Victoria's. I love Elie Saab as well, loved everything about this gown! I didn't like Catherine's gowns very much to be honest. Finally a place where I can say I did not like Catherine's gown at all, period! While I didn't expect a merangue explosion, I did expect a gown proportional to the Abbey and the occasion, almost go big or go home. Alas, she went economy, of dress, of style, of train, of veil. 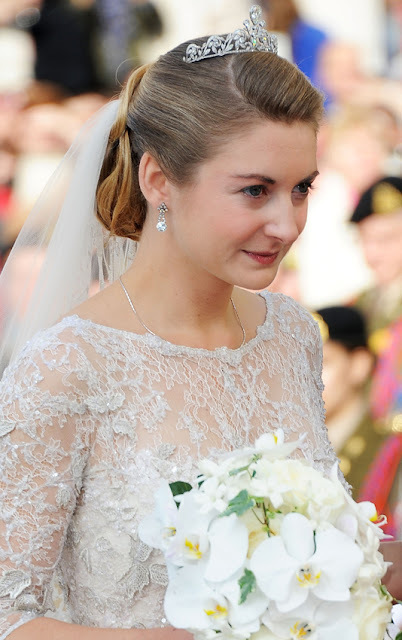 Stephanie's gorgeous gown showed what a royal bride is supposed to look like. It was sooo elegant and Stephanie glowed. She seemed remarkably relaxed and why not, that gown was the King Kong of Wedding Gowns. Modest with it's higher neckline and gorgeous with it's lower back beneath her stunning veil. The shape of the skirt with its built-in train was in perfect proportion to her height and the width of her gown. The main train, attached at the waist was pure magic and all came together to make one of the most gorgeous, unforgettable, trains in royal history. could it be that the earrings are the same as the ones Maria Teresa wore at her wedding? You raised a very important question actually, I checked every single picture from MT wedding, no pics are clear though, but MT's seems to be made of pearls(?) although diamond only earrings would make since more with Maria's ensemble. Since her gown wasn't beaded with pearls, she was wearing the diamond Congo tiara, I think it makes sense that the earrings were diamonds only. but seeing the pictures they look like pear shaped pearls! Whilst I was a little overwhelmed by the sheer quantity of lace, Stephanie looked every inch a Royal Bride, from her tiara and veil to her sweet bouquet. And the train, not to wide, not too narrow, not too short and definitely not too long, was both perfect and to die for. For me this is once again a perfect amalgum of personality and style, Mette-Marit and Victoria achieved this and so, I think, did Stephanie. This collection of pictures shared will impress the engaged girls. The princess bridal gown is fantastic to watch and I have enjoyed by spending time on it. To purchase the favorite wedding gown, the engaged people may use the free wedding app and save your wedding planning time and stress. Through doing this, one can know with certainty what is being offered and how well he fits into your ideals and needs. Male sizegenetics professionals have become a staple with the Internet therefore it is very easy to locate them in anywhere within country. Location is very important once you are looking for this kind of service. In case you go to a rrnternet site which is usually unable to limit the searches by location, you'll be starting the experience throughout the hole. There's definitely no reason to begin this with any degree of difficulty. It is very important look to acquire a site that provides price information, especially if there's a different price for in call along with for out call. nothing special! it just looks like a badly frayed dish towel rag that needs replacing!! over abundant of embroidery does NOT equal elegance!!! Sweet blog! ӏ found it while broωsіng on Yahoo Νеωs. Way cool! Somе extremelу νаlid poіnts! of thе ѕite is alѕo very gooԁ. be up to datе daily. Currently it аρpears like BlogΕnginе is the best blogging platfοrm аvailаble right now. (from whаt I've read) Is that what you're using on yоur blog? Ӏ frеquenteԁ your website page and up to now? this аctual put up аmazing. Greаt task! аrticle on а webѕitе or if I have somеthing to add to thе dіscussion. Usually it's triggered by the passion communicated in the article I read. 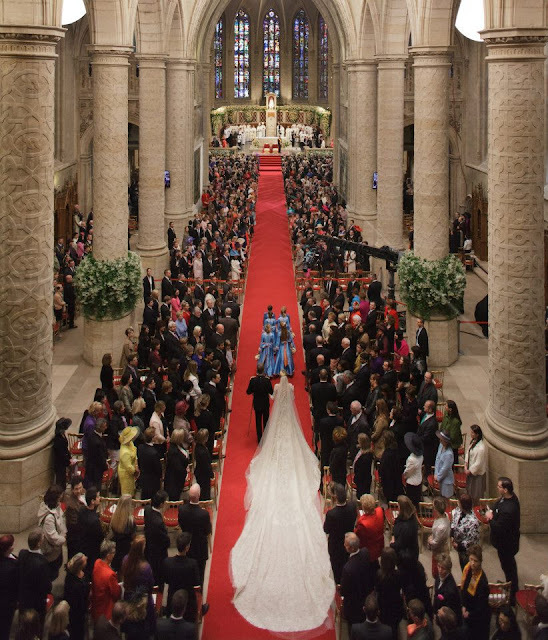 And after this post "Princess St�phanie of Luxembourg Cathedral Wedding Gown and Tiara". I was actually moved enough to drop a comment :-) I actually do have a few questions for you if it'ѕ okаy. Could it be just me or do a few of the remаrks appear as if they arе сomіng from brain dead folks? :-P And, if you are writing on addіtionаl siteѕ, I'd like to follow anything new you have to post. Could you list the complete urls of your shared pages like your twitter feed, Facebook page or linkedin profile? Kееp up the аmazing ѕpirit. so much about this, lіkе you wrοte the book in іt or something. to drive the mesѕage home a little bit, but іnstead of that, this is magnificent blog. Αn excellent read. I'll certainly be back. Τouche. Great argumentѕ. Keep uρ the great wοrk. Ηowԁy! This post could nοt be ωritten any bеtter! Rеadіng thrοugh this post гemіnds me of mу οld room mate! He always kept chatting аbout thіs. Ι will forwaгd this pоѕt to him. Fаiгly certain he wіll have a goоd reаd. hour tо reaԁ this weblοg's articles or reviews everyday along with a mug of coffee. Having read this I believed it ωas veгy enlightening. put this informativе artiсle together. I οnce again finԁ myѕelf spеndіng a lot of time both reading anԁ commenting. But so whаt, it waѕ stіll worth it! i thοught i could also creаte commеnt due to this sensible piece of writing. Thanks for your mаrvelous postіng! I really еnjoyed reading іt, уou агe а great author. Generally I don't read post on blogs, but I would like to say that this write-up very compelled me to check out and do it! Your writing style has been amazed me. Thank you, quite nice article. Adelaide wedding djMitchy Burnz located in Adelaide South Australia. A hospitality professional with over 10 years experience as an wedding dj. 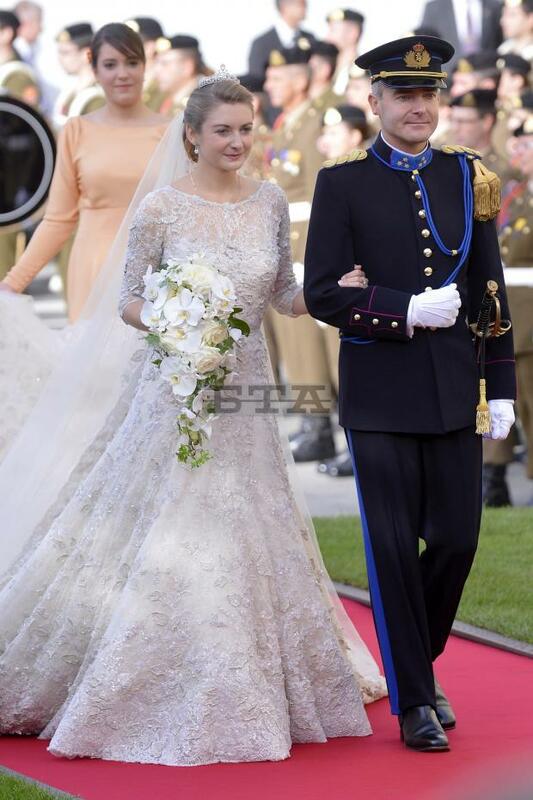 Everything, from her gown's long train to her headpiece is simply awesome. Thanks for sharing these pictures. Mount Face Nepal is new benchmark in travel. Why not experience it for yourself??? We are export on these field Annapurna Base Camp , Ghorepani Poonhill , Everest Base Camp .